(8 September, 2017) Suva, Fiji – Multi-stakeholder partnerships that enable the effective participation of civil society in development are not only possible, but have already begun in the Pacific. This, according to the Pacific Islands Association of NGOs (PIANGO) Executive Director, Emele Duituturaga was demonstrated at this week’s 48th Pacific Islands Forum (PIF) Leaders meeting with civil society representatives in Apia, Samoa two days ago. “Forum leaders meeting chair and Samoan Prime Minister, Tuilaepa Sa’ilele Malielegaoi broke tradition by expanding the TROIKA breakfast with civil society organisation leaders this year,” Ms Duituturaga said. “This commitment by Samoa as the incoming PIF Chair in 2016, could not have been realised without the support of the Pacific Islands Forum Secretariat who have worked with PIANGO and other CSOs to ensure that the 2017 CSO – Leaders meeting was successful,” she said. Ms Duituturaga said improvements have been made to ensure that Pacific civil society voices are heard in regional policy spaces such as the Forum Leaders meetings. “PIANGO acknowledges the progress made from the PIF meeting in 2015 in Port Moresby to the 2016 Pohnpei meeting in the way both the Forum leaders and the Secretariat have worked to enable spaces for CSO participation. PIANGO Board Chair, Sarah Mv Thomas Nededog addresses the PIF CSO Forum in Apia this week. 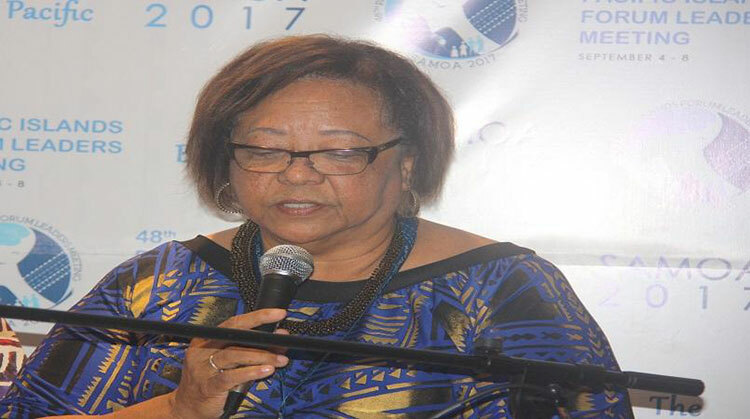 She said PIANGO has consistently supported the mobilisation of Pacific CSO voices annually by organising Pre-PIFs Roundtable meetings on the fringes of the Forum Leaders meetings with the support of the Forum Secretariat. Ms Duituturaga said this opportunity to directly engage with the Forum leaders puts the Pacific ahead in terms of collaboration for the achievement of the Sustainable Development Goals (SDGs). 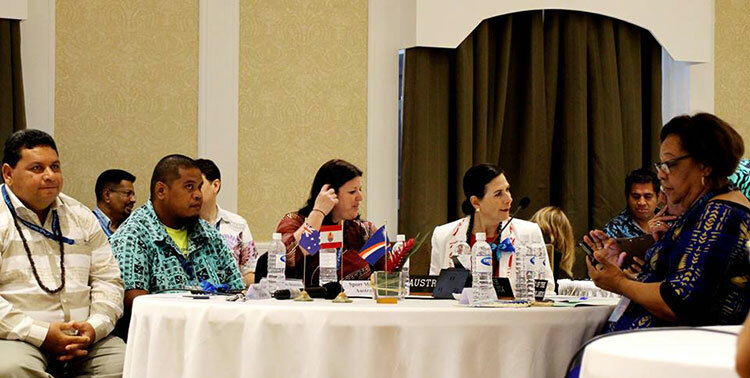 “We congratulate our CSO representatives and the PIF Secretary General, Dame Meg Taylor for facilitating such a successful exchange and look forward to deepening this partnerships in the future,” she said.